We have been friends for many years and share our interest in both modelling and real railways. We are both seriously into narrow gauge models and tend to concentrate on 0 scale narrow gauge although Port Wynnstay are producing some of the more obscure standard gauge wagons seen here in the UK. We are both serious modellers that have lapsed into being manufacturers to satisfy our own needs. 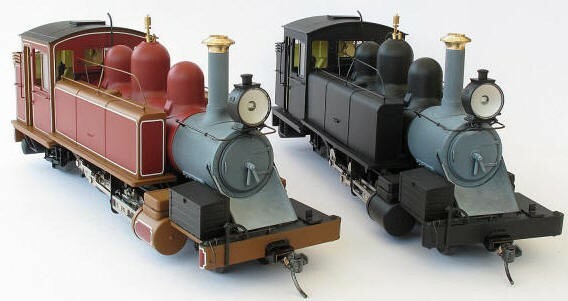 Phil’s models tend to be UK prototypes, both narrow and standard gauge, whilst Paul tend to North American narrow gauge in both UK 0 scale (7mm/foot) and US 0 scale (1/4″/foot).